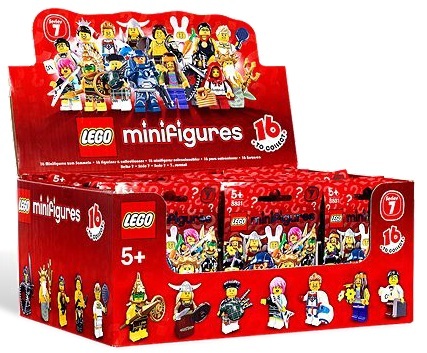 Forum member natelite gives us a heads up that Amazon Spain now has complete boxes of 60 LEGO Series 7 Minifigures available for an irresistible low €77,6 price. This makes it even better than Amazon France. As always, extra 16.4% off tax discount if you live outside of Europe because you do not need to pay Euro tax. Very good deal even for those living outside of Europe! After factoring credit card currency conversions of 1.25 (its really 1.23, but credit card charges fees), natelite reports that if you order 1 box, it works out to be $111. If you order 2 boxes, it works out to be $198. That works out to be $1.65 per minifigure (reg.$2.99)! *Shipping is heavy for the first box, but only goes up by a little after that which means you’ll save more the more you buy. Basically, the best deal is to order 2 boxes.